During the finale of The Maze, an incredibly popular reality show, the transmission is mysteriously stopped. Now you've been hired by the families of the missing contestants and it's up to you to find them! 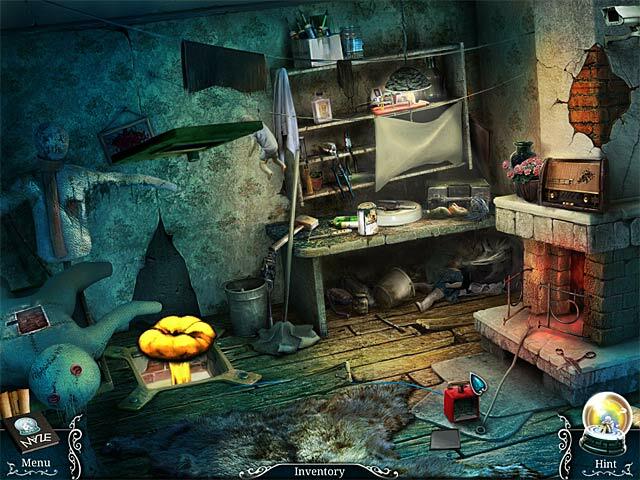 Discover what really happened during the taping as you explore the incredible set and use your Hidden Object talents to proceed in Urban Legends: The Maze. 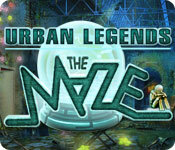 Urban Legends: The Maze is rated 4.1 out of 5 by 100. Rated 5 out of 5 by alphafem from VERY GOOD (based upon completed game) You've probably already read the Storyline in great detail, so I'll skip that, but yes, it was entertaining. This is from Elephant Games 2011. They were very much smaller back in the day...but just as creative. Yes, the HOP's were a bit grainy, but I'm not gonna whine, and dock them points on Visual Quality, as it was the technology of that time. The HOP's themselves were done well, and challenging enough for anyone who can appreciate a break from today's UN-hidden object games. I couldn't just blow right through these, and yes, sometimes I had to use the hint button on that last item I just couldn't find. But there it was...cleverly hidden. That's what it's about for me. The mini-games were in a range from not so difficult, to, for me, REALLY challenging! When it comes to mini-games, I'm no ditz...the tougher the better. I had to read some of the directions more than once, and fool around a bit, before I got the hang of a few of them. And yes, some I even skipped. I'll leave those to you Mini-Game Masters out there...and doff my hat to you! I really enjoyed this game. Will I play it again? Absolutely. I hope you enjoy your time with it as much as I did. Peace. Rated 5 out of 5 by pa_sher from And The Winner Is--- Really got into this game. The art work was great and I liked the story line. You are in a reality game and my instinct was COMPETE, even knowing I would win anyway. 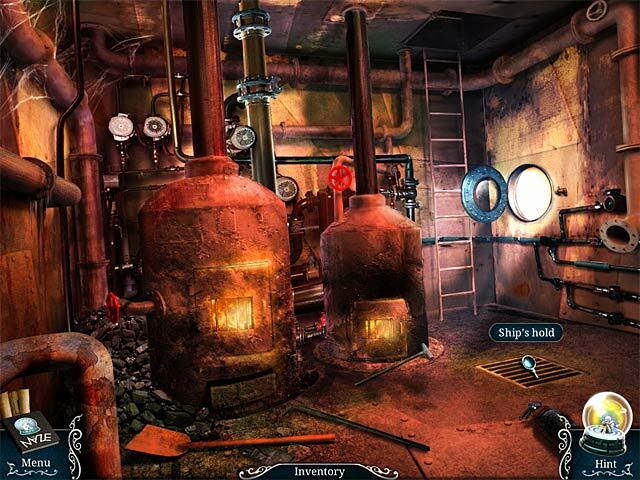 This game started out slow and puzzles seemed too easy, HO's some where you have to find items to solve the puzzle. As the game progressed these puzzles seemed to become harder. One spot in the game kinda bugged me--I mean why would an arcade game be placed in the midst of wreckage, but all in all a great smooth flow and graphics. The ending was unexpected and a true cliff hanger. When is the next installment? Buy this you will enjoy. Rated 5 out of 5 by hermitcave from Few games hold my interest through the entire game but this one did I like games that provide both an adventure (even if the story is not that strong) and puzzles with HOS that actually provide something to the game and not just be there for the sake of filler. I think this game does both. I was surprised at the length of the game - just when I got to where I figured the game was over, there was another final part to complete leaving a twist at the end. Have not seen a sequel as yet so not sure if there will be one. It was definitely set up for one at the end. The basic story has been detailed by others so a quick recap is that there is a reality show called The Maze airing the finale when the transmission is mysteriously stopped and contestants have disappeared. You are hired by the families of the missing contestants to find their loved ones and discover what really happened during the taping. 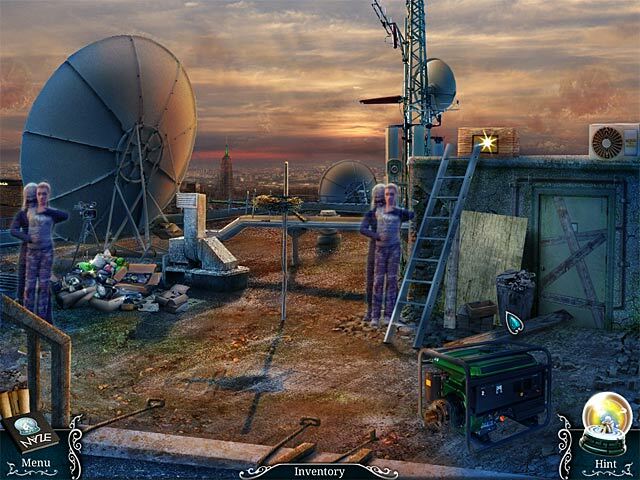 You explore various locations and have to figure out how to save the contestants. The graphics and sound are excellent with some haunting music in places. There is a jump map that is quite handy although you are never more than a few locations away from any point so it may not be required by all. With 6 levels to explore, a new map is presented as you finish one level and move to the next. Places where some action is needed are shaded in green so that helps if you get a little lost in what to do. I did find that if your map shows no locations requiring action, it usually means you missed something in one of the locations and you should carefully review them again. There are many puzzles (more then HOS) that range between easy and difficult and require some thought but there is a speedy skip button also, if needed. Most puzzles, when solved, provide one item that is used almost immediately somewhere nearby. Items in HOS are well camouflaged but can be found by careful scrutiny. Some are interactive. Because it held my iterest, I found it fairly fast paced. I do take my time when I play to enjoy the experience and do not rush just to get to the end and chalk up another completed game on my list. Rated 5 out of 5 by Tracy_lynn from Hope there is a part two. Excellent game. Long game, great story plot. Rated 5 out of 5 by Plientje from older game, but fantastic!! Captivating story that keeps you wanting for more! As I started playing this gaming my first thoughts were, hmmm, old fashioned, too much HOS, boring story, and that went on for quite a long time; the first hour or so. But....boy, was I wrong! There are a lot of HOS, yes, but there are even more puzzles and mini-games. The storyline is intriguiging and suprises more then once with its twists and turns. The game is set in modern times, and there are no ghosts, no fairies, no cute sidekicks, no portals, no pinks and purples, no evil smoke, just a lot of garbage, but it's all REAL. And that, in 2014, is refreshing! I had loads of fun with it, feeling like I was the detective, and trying to save people, rushing, searching here and there, feeling anxious. And much more than that, but I can not give away too much, now can I... This is a long game, I played about 6 hours, in one sitting! - coffee-breaks excepted ofcourse. At a given time I the game remembered me of the movie 'the hunger games'. And in the end I finally realised why this is such a great game, it's an Elephant game! That explains a lot about the fantastic quality of graphics, storyline and music, even in 2011, when the game was released. Be a bit patient, give yourself some time to get immersed in the game, and I'm sure you'll enjoy it! Have fun! Rated 5 out of 5 by rowdyrion from Interesting Spin on Reality Shows Have just completed the game and found it most enjoyable. The puzzles were not too difficult and the storyline was well thought out. Graphics were clear and I especially liked the map where you could jump back and forth. Loved the surprise ending and checked to see if there had been a follow up game so I could see what happens next. I would recommend this game. Rated 5 out of 5 by george_1991 from The best of the best Urban Legends: The Maze is one of the very best HO games I have EVER played. I can usually finish an HO game within two or three hours, but this one goes on and on. I loved it! The storyline is interesting and the gameplay is just challenging enough. Rated 5 out of 5 by Kirland from Long, Long Game. A Bang For Your Buck Surprise! I don't know how I missed this when it first came out but glad I found and purchased it. For a SE it was very long. Lots of challenging puzzles of which I had to skip a couple. Don't like to do that but I worked on one for way to long and just was getting frustrated and had to skip. Plenty to do and when I thought it was nearing the end, the game keep going. Pleasant surprise, if your not playing into the wee hours of the morning trying to finish as I was and had to stop to get some rest. Love it. I will definitely have to re-play this one again but will have to stay in casual because I think I wouldn't need more challenge. Casual was enough for me on this game. Thanks Big Fish and Devs. Will have to look for the sequel. It's a definite buy for me. Rated 5 out of 5 by sapoe from super! Another great games from Elephant. I'm truly having fun and enjoy playing this game 'til end. Definately deserve five stars. Thanks dev, love it and good job! During the finale of The Maze, the transmission is mysteriously stopped. Now it's up to you to find the missing contestants!